How to Attend Art Gallery Openings. An art gallery opening can be posh, hilarious or quirky, depending on the gallery's reputation and the styles of art displayed, but the opening reception usually follows a certain pattern. 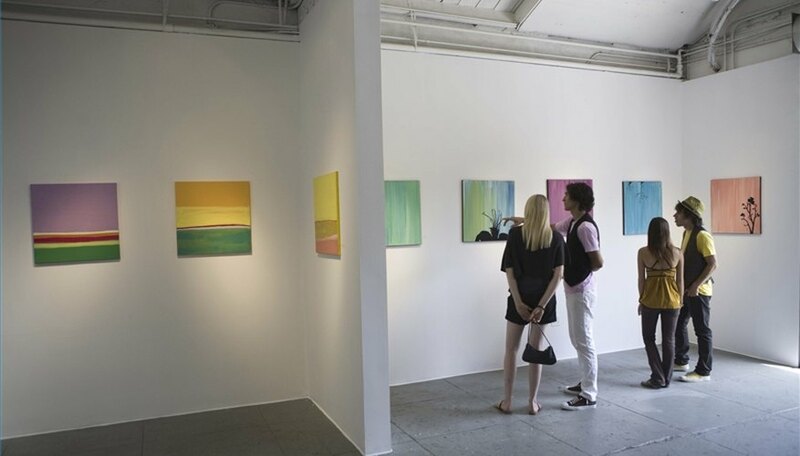 If you've been invited to attend a gallery opening or plan on dropping in for awhile, here's what you need to know so you won't look like an unsophisticated bumpkin. Dress appropriately. Read a little bit about the gallery's rep and the featured artist to clue you in on the dress code. For the more staid and sophisticated gallery openings, classic dresses are good for ladies, suits or dress slacks and blazers for men. Trendy, bohemian art gallery openings give you a little more leeway. Even jeans and t-shirts are acceptable there. Sample wine, cheese and other freebies discreetly at art gallery openings. Eat dinner, then attend the gallery opening. Heading straight for the buffet table is tacky and insulting to the artist. Watch your commentary. There are no rules for what to talk about at a gallery opening, but it's best to stick to artistic and academic subjects. You had all day to complain about mortgages and gas prices and overdue bills. Now it's time to concentrate on some culture. Leave the haggling for the flea market. If you're interested in buying a piece, be prepared to pay the artist's asking price. It's not negotiable. Look, but don't touch. Stay a safe distance from the artwork, especially when you're drinking or tipsy. If you break or damage a piece, you'll have to pay for it. Socialize and network, but don't hoist a sales pitch for your own paintings (or a friend's art) on the gallery owner. Save that for a follow-up meeting.